I’ve been baking with bananas a LOT lately. Banana bread, banana cake, monkey bars — you name it. I’ve used so many bananas I buy the extra-ripe ones on sale at the grocery store to get some baking in. 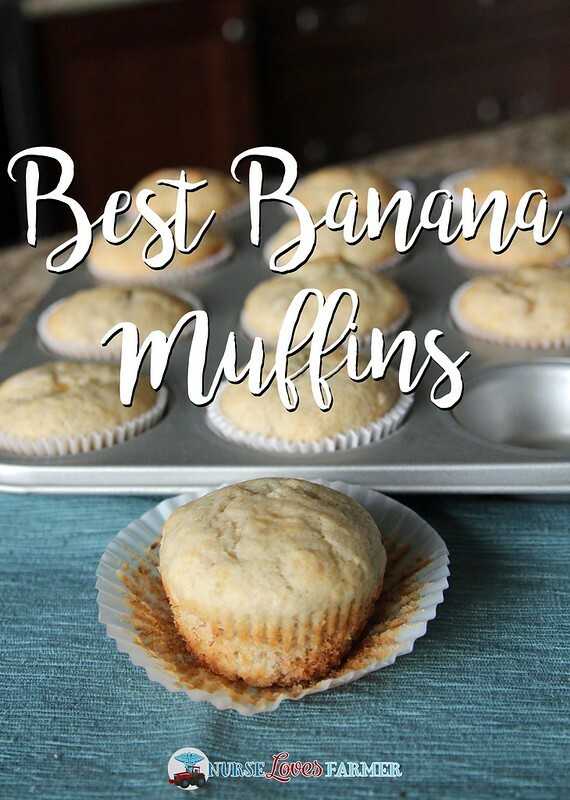 I finally found a banana muffin recipe that I love and I wanted to share it with you today. I use my stand-mixer for anything from mixing my meatballs to shredding chicken and my latest stand-mixer hack is mashing bananas! Hardly any lumps and a nice, texture! So, if you want to try this, first preheat your oven to 350ºF and throw your 3 large bananas in your mixer with the paddle attachment and mix until well mashed. Add the sugar, egg, and melted butter and mix until incorporated. Add the rest of the ingredients — flour, baking powder and baking soda and stir until well incorporated. Grease or line muffin tins, fill ½ – 2/3 full and bake for 15 – 20 minutes until just starting to brown on the outside, the muffins bounce back when gently touched on the top and/or toothpick comes out clean. 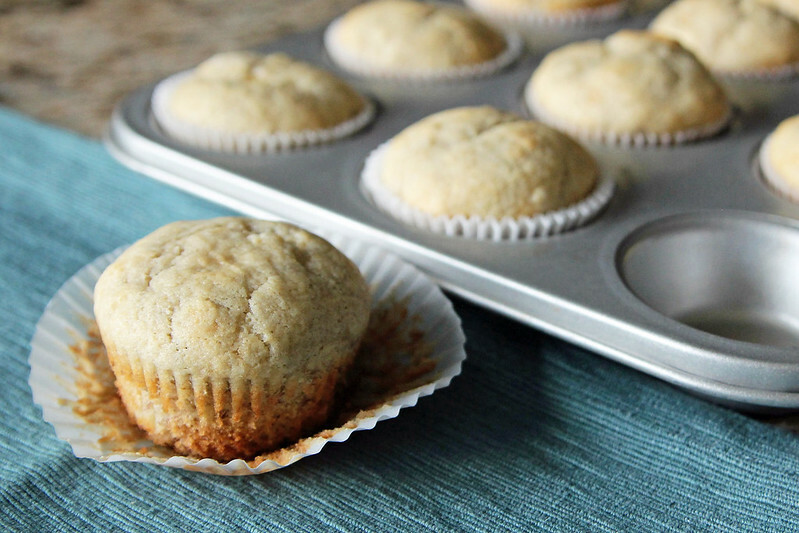 Bake mini-muffins for less time, try 8-10 minutes. Simply the best banana muffins I've ever come across. Moist and perfect every time! Preheat your oven to 350ºF and grease or line 18 muffin tins. 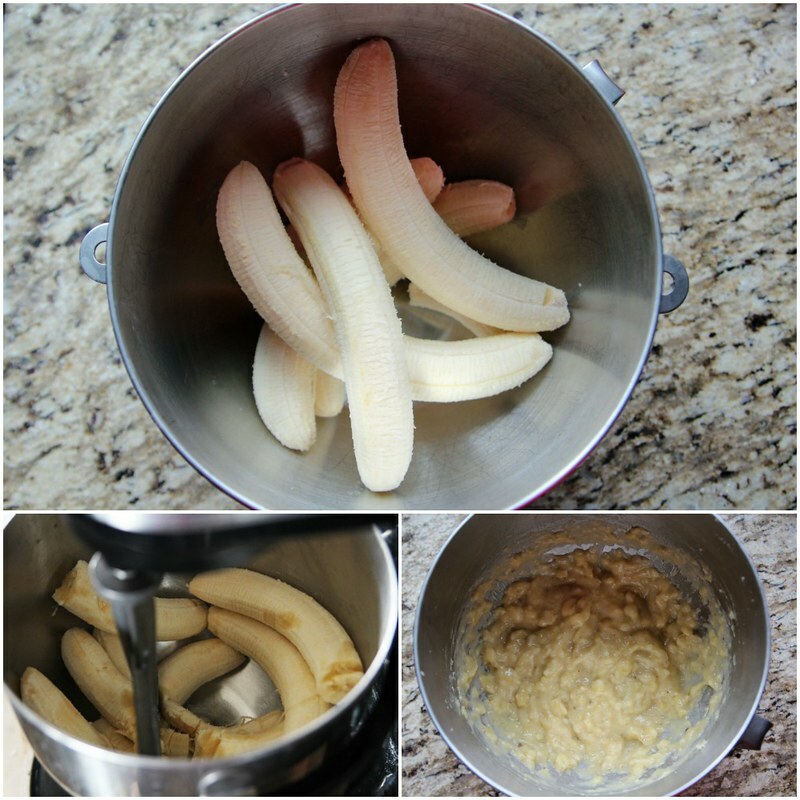 Mash by hand or place 3 large bananas in your stand mixer with the paddle attachment and mix until well mashed. Add the sugar, egg, and melted butter and mix until incorporated. Add the rest of the ingredients --- flour, baking powder and baking soda and stir until well incorporated. 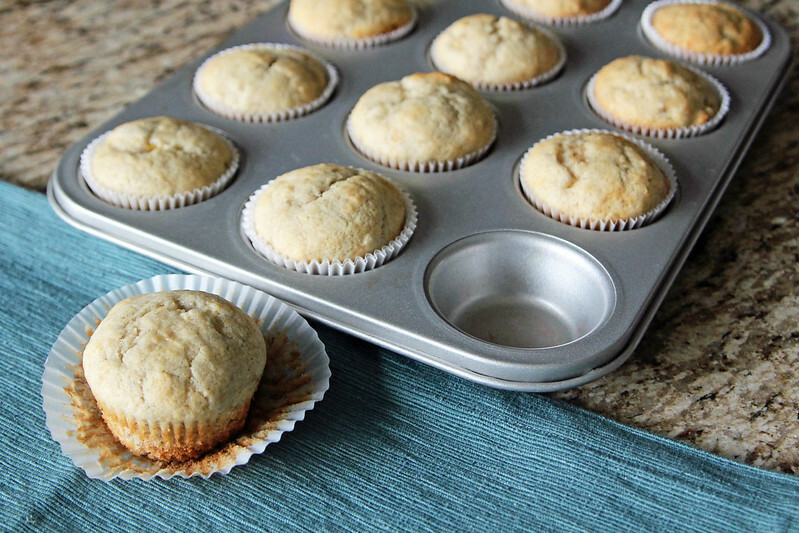 Fill muffin tins ½ - ⅔ full and bake for 15 - 20 minutes until just starting to brown on the outside, the muffins bounce back when gently touched on the top and/or toothpick comes out clean. Bake mini-muffins for less time, try 8-10 minutes. These never last long in our house! Hope you like them! « Ethan is 3.5 Years Old!